Armed with the Tuned sword that is all he has left of his murdered brother, Aralt endeavors to secure a sanctuary for a reluctant heir-apparent who never anticipated his elevated status. But sanctuary proves elusive, every step bringing them closer to danger–and closer to revealing secrets neither wishes to share. The enemy has made the skies their own and unleashed a scourge intent on killing Lian–or worse. Death, Aralt realizes, might be the greater mercy. 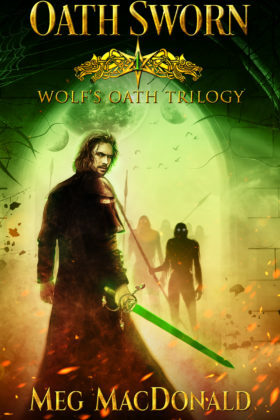 Book 1 of the Wolf’s Oath Trilogy series.